These full stretch camo DexShell DryLite Gloves will keep your hands dry, warm and comfortable while offering maximum dexterity and the ability to use your touchscreen devices making them ideal for any outdoor enthusiast. 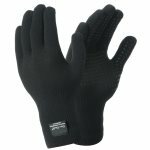 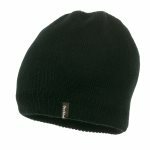 These DexShell Waterproof Gloves use a three layer bonded construction, with a breathable and fully waterproof Porelle® membrane sandwiched between a lightweight stretchy outer and a merino wool full terry loop inner for an excellent level of warmth, breathability and comfort. 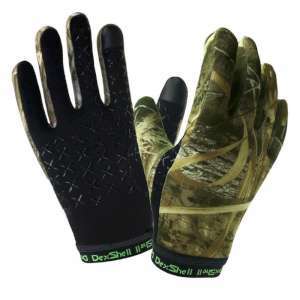 The Realtree® MAX-5® Camo pattern has been designed with waterfowlers in mind, with cattails, reeds, cane and grasses featured to conceal you in both flooded marshes and other outdoor grassy areas making these an excellent and practical waterproof glove.